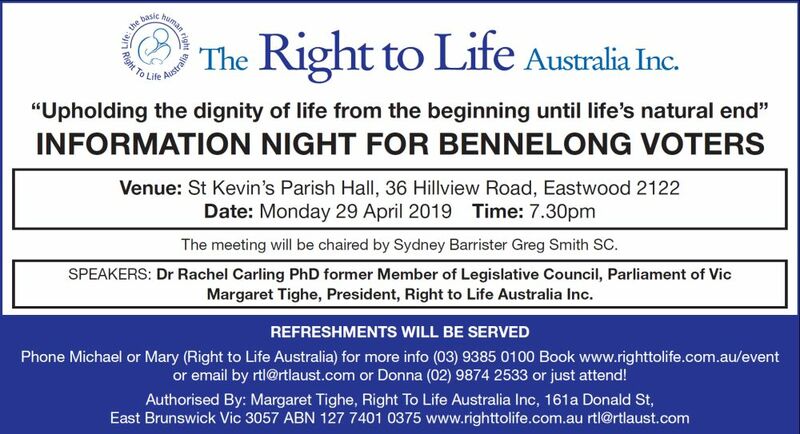 In the interest of protecting human life and offering women in crisis pregnancy situations viable alternatives to abortion, Right to Life Australia fully supports the option of adoption. In supporting this option, we realize that adoption will not be the choice of every woman facing a crisis pregnancy, but it is a choice that should be available in her decision making. While there is a surplus of families waiting several years to adopt a child into their home, there are women today being convinced that abortion or child rearing are their only choices. It is important that women in crisis situations are presented with the life-giving choice of adoption and are informed of the resources and support available to them. In every adoption situation there are three primary parties involved: the child, birth parents and adoptive parents. We recognize and wish to emphasize that the needs and special interests of each of these parties should be given utmost consideration. We also wish to reaffirm and support the secondary parties to adoption: adoption agencies, government institutions, abortion alternative centres and other supportive organizations.